Madonna has been threatened with a whopping £5000 fine for noise pollution, after a raucous afternoon party at her London home got out of hand. SEE MADONNAS STYLE HISTORY HERE! But the songstress wasnt even at the property at the time, and it seems sneaky staff decided to throw the karaoke party while she was away. Now Madonna is said to be furious at the incident, as well as the prospect of having to clean up after the revellers and pay their bill. ‘There was a lot of singing but in the end it was so bad we were forced to call Westminster Council,’ one neighbour told the Sun of the afternoon party. ‘The chances are it would have gone on all day otherwise. 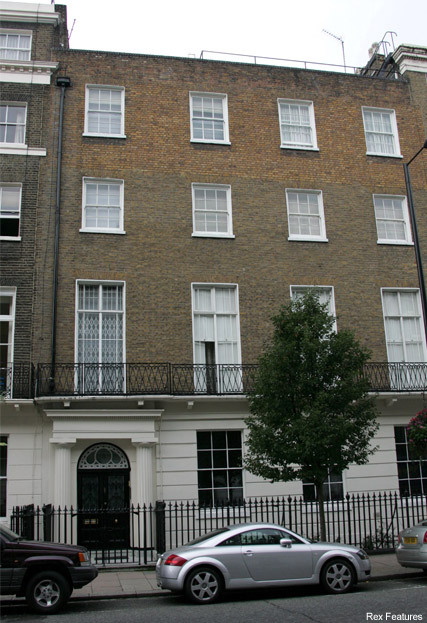 Police officers arrived at the posh London property around 2pm, ruling the music and singing blaring from the windows a statutory nuisance. But after revellers refused to answer the door, its said officers had to post an official warning through the door of the Marylebone mansion. How wed love to be a fly on the wall when Madonna gets home!